This is the name adopted by a coalition of friends, all prominent leaders in various social fields, who want to see the Gospel applied visibly in every sphere of life and society. This is the Latin American version of a global movement called Transform World (www.transformworld.org ). 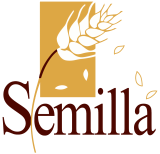 Semilla is deeply integrated into the leadership of this movement, supplying ideas, strategies and leadership contacts throughout Latin America.